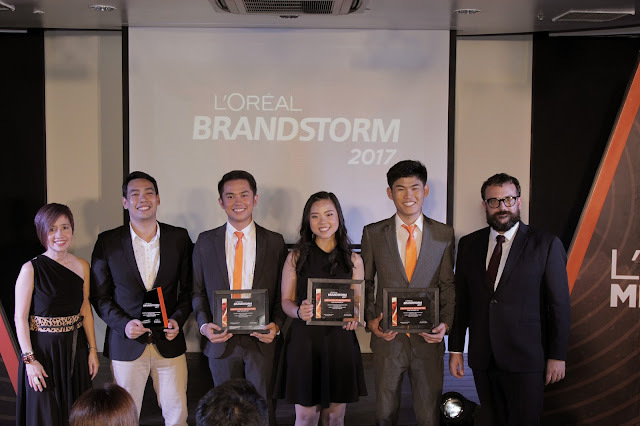 Manila, 2017 – Faced with a battle of skill and talent to create the most innovate new product and integrated marketing campaign against over 400 hundred teams from across the country, Team Maxim from the University of the Philippines Visayas emerged as the Philippine champion at the L’Oréal Brandstorm National Finals winning the Best Marketing Communication Plan Special Award as well. The event was held at the L'Oréal Academie on April 18. Team Hustle from Ateneo de Manila University came in a close second, followed by Team Champs from University of the Philippines Diliman in third place. This year’s National Winners take home a P50,000 in cash, P20,000 worth of products for their mentor Tessa Albaña, and P3,000 worth of products for the team. 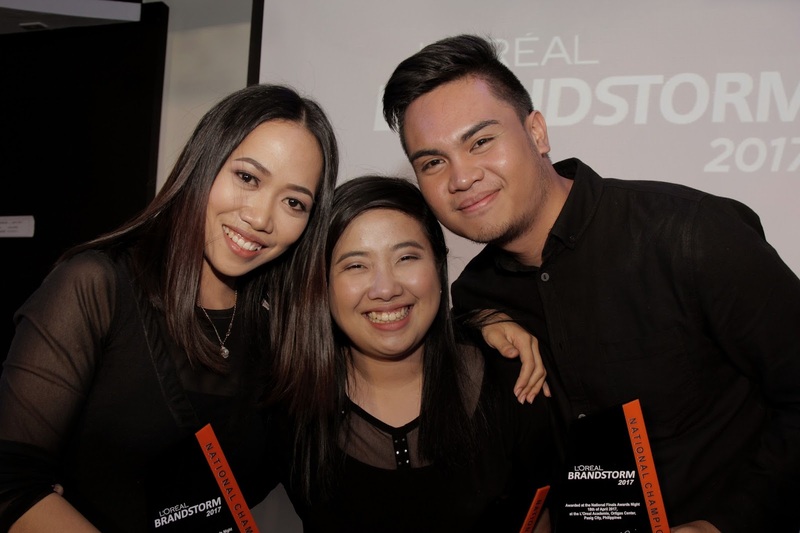 They move onto the L’Oreal Brandstorm Asia-Pacific Regional Finals on May 5. 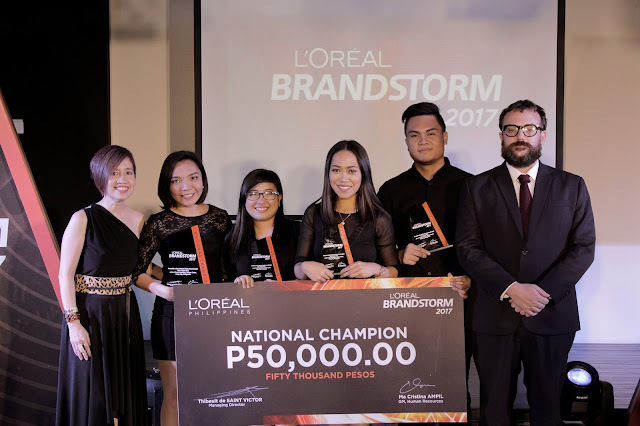 Winning the National Finals is just half the winning team’s Brandstorm journey as they represent the Philippines at the Asia-Pacific Regional Finals in May, and hopefully move on to the international competition in June in Paris, France. Beyond competing with teams all over the world for the coveted title of Brandstorm International Champions and a cash prize of 10,000 Euros, the International Finals will be an avenue for the students to immerse themselves in L’Oréal’s culture right where it begins – at the L’Oréal Headquarters. At the International Finals, an innovation fair will also be hosted by L’Oréal to give both students and professors a chance to exchange ideas with all the teams coming in from across the globe. Five other student teams also saw action in the April 18 National Finals: Team L’OLreal and Team Y3 from the University of the Philippines Diliman , Team iWill from San Beda College – Mendiola, Team 16°C from Saint Louis University Baguio, and Team Stormbusters from University of the Philippines Visayas. 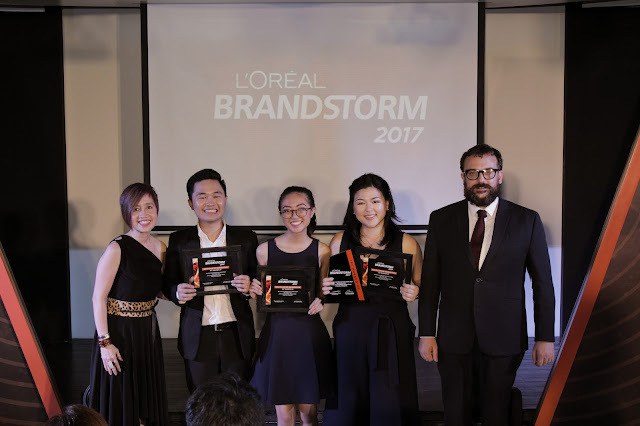 Now on its 25th year, L’Oreal Brandstorm is the Company’s signature innovation competition that gives students across the world the opportunity become innovation leaders. With this year’s partner brand, L’Oréal Men Expert, the World’s No. 1 Skincare Brand for Men, this year’s young fire starters were challenged to recruit millennial men through a new product and breakthrough service that leveraged digital solutions and connected technologies. From the field of 421 teams, eight Finalists were chosen to battle it out and present their groundbreaking pitches on disrupting the men’s grooming industry. From 421 teams joining the competition, the 8 finalists comprised of 3 teams from the University of the Philippines Diliman, 2 teams from the University of the Philippines Visayas, and one team each from Ateneo de Manila University, San Beda College – Mendiola and Saint Louis University battled it out and presented their groundbreaking pitches on disrupting the men’s grooming industry. “We did not expect this and it’s like all our hard work just paid off. We really wanted to show what we can do. Coming to Manila and as one of the Top 8 was already a really amazing experience, and winning this competition is more than we had ever hoped,” explains Team Maxim’s Genevieve Millan. COngrats to them! maganda po ung presentations nila! Ang ganda naman po ng ganyang topic na they've bring up not just for women but for men also in our generations. Congratulations to them and to L'oreal!